Little systematic knowledge exists relating to how political parties are regulated and how they function internally in different countries. There is also very little known about the operational problems parties face. The objective of International IDEA’s Programme of Research and Dialogue with Political Parties is to contribute to an environment that is conducive to the development of political parties, and thereby to contribute to democracy. The aim is not to work out a universally ideal model of a political party, but rather to examine and collate information on the extraordinary variety of parties that function in different political systems of the world. The results of this research may help parties identify and exchange good practices and learn from one another. 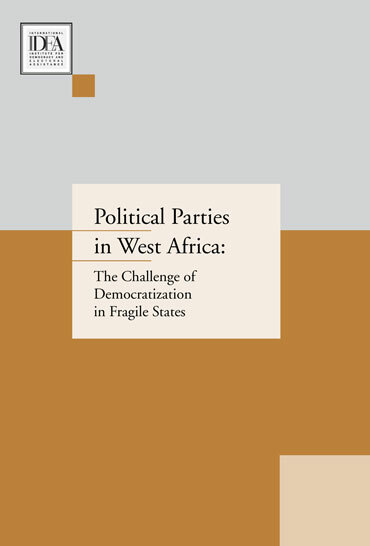 This report concerns political parties in 13 countries: Benin, Burkina Faso, Cape Verde, Côte d’Ivoire, Ghana, Guinea, Liberia, Mali, Niger, Nigeria, Senegal, Sierra Leone and Togo. The research was made possible by the participation of the Centre pour la Gouvernance Démocratique (Burkina Faso), the Center for Democratic Development (Ghana) and the Centre for Democracy and Development (Nigeria).